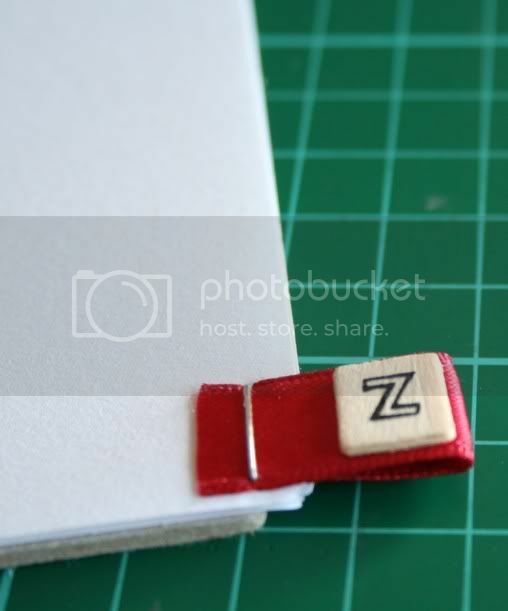 This tutorial will show you how to make a simple address book. 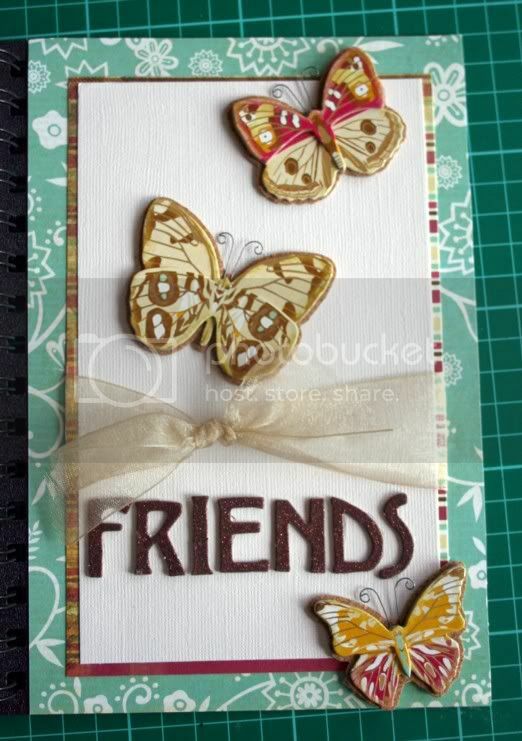 The beauty of hand making your own is that you can tailor make it with whatever details you would like to record for each friend. 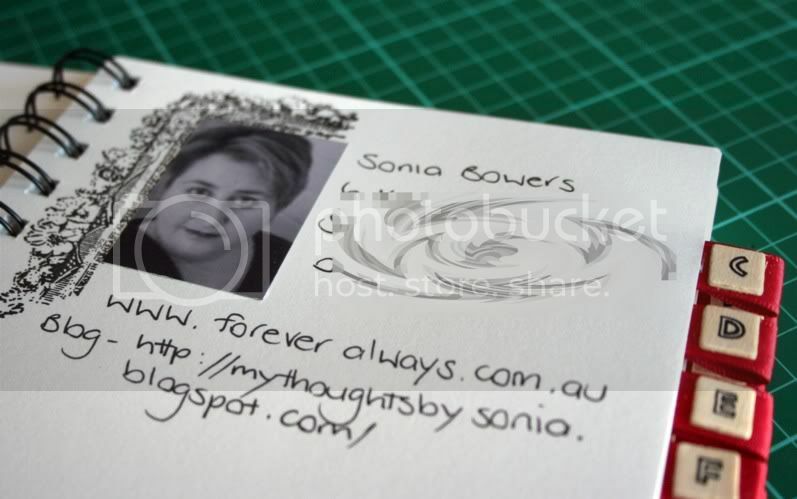 ie – Name address and phone numbers (the obvious) and also websites and blog addresses. You might even want to include their birthday as well or any other info. 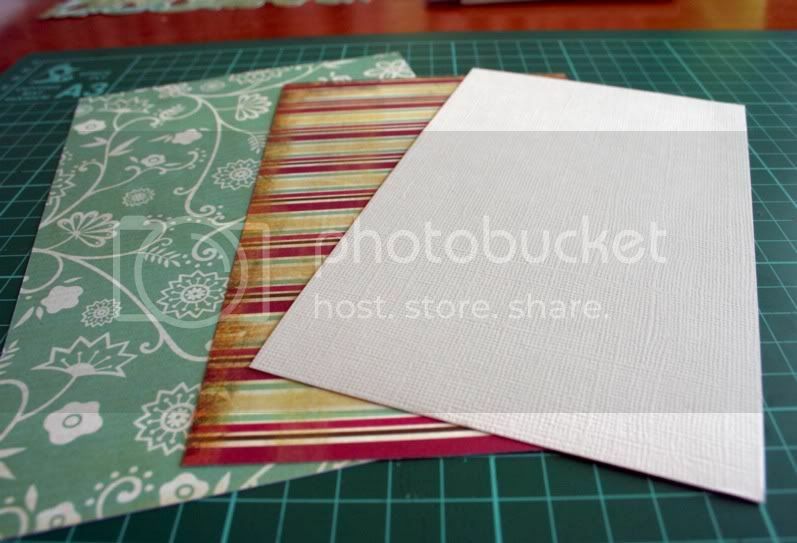 I have included photos in mine. Decide on a design for your cover. I have drawn inspiration from a Page Maps card design. 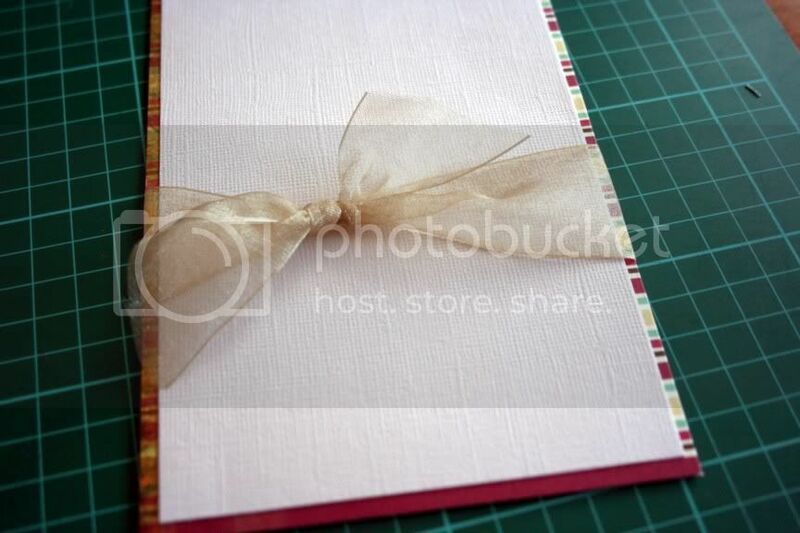 Place chipboard alphas below and embellishments above ribbon. I have used mini wooden alphas that I got from a discount store. You could use any small alphas or stickers and some strong ribbon. 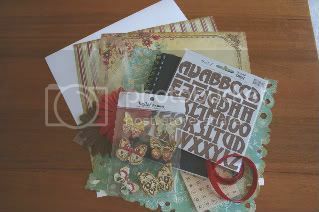 Design and decorate your inner pages using stamps, doodles and whatever embellishments you like. It's entirely up to you how bulky and / or colourful you would like to be!! 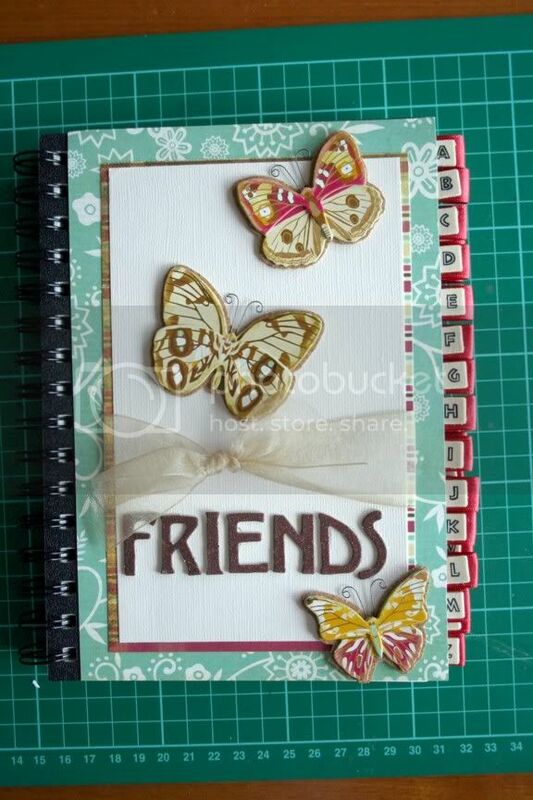 Now your "Friends Address Book" is complete!! !